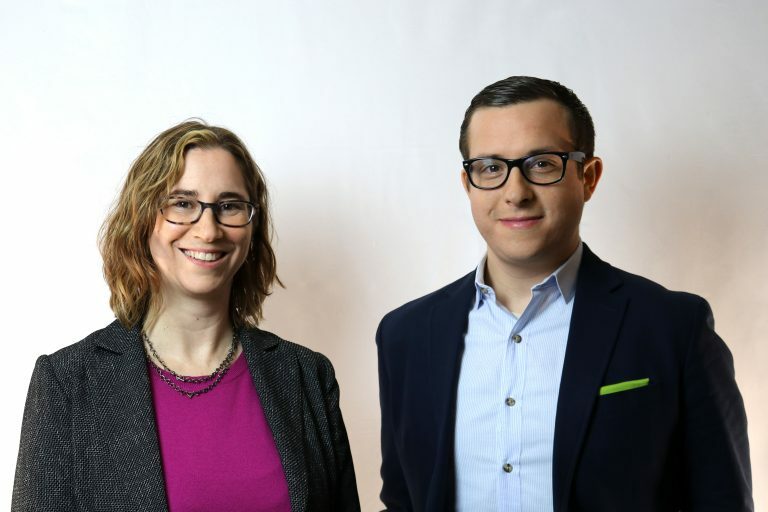 NEW YORK, NY—Mancini announces that Jessica Sheridan, AIA, and Michael Kipfer have been elevated to the Principal level of leadership. Their promotion comes on the heels of a groundbreaking year of new initiatives and a proven track record of engaging clients with dynamic services. Kipfer spearheads research and development efforts at Mancini. His brainchild, the Design Lab, was born by exploring and adapting technology such as artificial intelligence, augmented and virtual reality, 3D printing and drones to communicate seamlessly between client and architect. The space is where incubation of ideas merge with technology to develop cutting-edge services and encourage dynamic collaboration with clients. Kipfer works with in-house software developers and designers to integrate technology into the everyday operations of the firm, propelling Mancini’s 21st century capabilities. The promotion of Sheridan and Kipfer to Principal establishes a stronghold of leadership in the design and technology sectors of architectural design. Their elevation ensures that Mancini continues its forward-thinking trajectory and maintains the high standards the firm is known for. Mancini Duffy stands out as a technology-first design firm that specializes in architecture, interiors, and planning of the built environment. With more than 90 employees located in New York City and New Jersey, Mancini builds on a hundred years of expertise with a contemporary, entrepreneurial spirit. The firm is dedicated to leveraging technology that enhances the design solutions we deliver to their toughest challenges. Our designers explore ways to make people’s lives better in the dedicated design lab which serves as the in-house incubator for our natural curiosities.